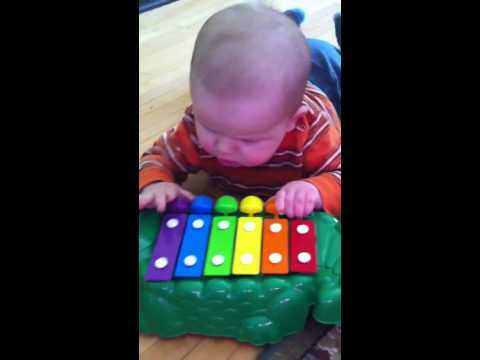 My Boy loves to make noise music. This makes me wonder if he's going to be a band geek, a rock star, a singer-songwriter... Or maybe he'll just collect music like his Daddy. I wish I could teach him how to play the guitar. Wait, does Guitar Hero count? Because if it does, I could certainly show him a thing or two. Once upon a time, there was a girl who never really knew what she wanted to be when she grew up... and then she had a family. And she knew she was meant to be a mom.